“I came to understand (…) that such a programme can easily become a boondoggle with several avenues for corruption if the powers-that-be are not careful. 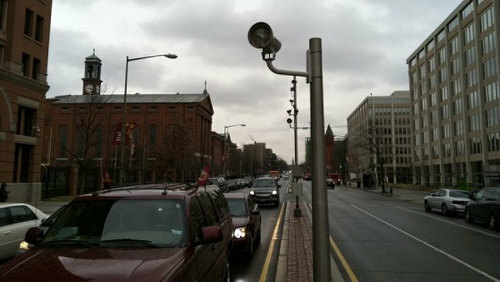 Photo: A traffic camera in the Washington DC. 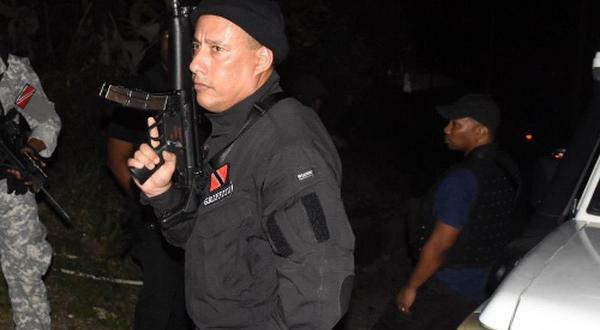 Trinidad and Tobago in 2017 is a largely lawless society. Each year, we hire hundreds of new policemen but there’s no appreciable dent in crime because our police don’t solve crime. Until they start doing that, some will argue, trying to deal with “low level” issues such as speed infractions and running red lights cannot be a priority. 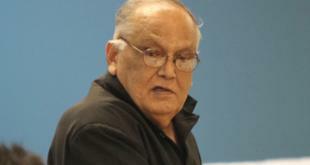 Nothing, the argument goes, should be done to lessen the police’s focus on finding solutions to major crime. I respectfully disagree. Why? The simple truth is that successful crime fighting is expensive business—the police, the government if you prefer, needs large amounts of revenue to fight crime. It is no accident that the Ministry of National Security got the largest allocation in the last budget. But there’s more to it than that. If we could get everyone to follow the traffic laws, there would obviously be more policemen available to deal with serious crime. So today, I wish to focus on a discussion of the relevant aspects of the speed and red light camera systems. For five years, I was one of the principal program managers and consultants for the Washington DC red light and speed camera programme as well as for their infamous parking ticket management system. During that time, there was—and still is in my absence—a relatively large team overseeing the various super-efficient aspects of the critical task of making the roads of America’s capital city safer. 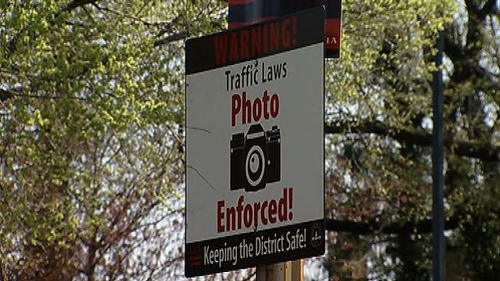 Photo: A traffic camera warning in Washington DC. Many of the citizens in the DC area are strongly of the opinion that the ticket issuing system is more about revenue than about safety and protecting citizens. 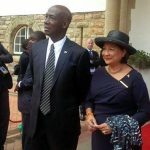 And, since the Government of Trinidad and Tobago has recently announced its intention to debate legislation designed to regulate the introduction of a road camera system in our two-island republic, similar opinions are likely to be expressed here at dining tables, on street corners and in offices nationwide when the matter is debated in the Parliament. Let me say that I have not read the government’s proposed bill. However, in the years I spent working with the DC programme, I came to understand a few things clearly, one of them being that such a programme can easily become a boondoggle with several avenues for corruption if the powers-that-be are not careful. Let’s talk first about money. It has to be understood that the costs involved in setting up a speed or red light camera programme are considerable. 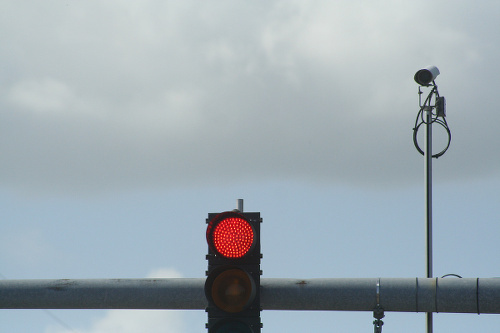 The going rate for a red light or speed camera is in the region of US$30,000-$50,000 depending on features and specifications. Installation can run anywhere from US$15,000-$50,000 depending on complexity of design specifications. And the equipment is not all; success also involves setting up efficient systems and procedures, which allow for maintaining the privacy of all possible defendants and ensure that the people wielding considerable influence within the system are held accountable. 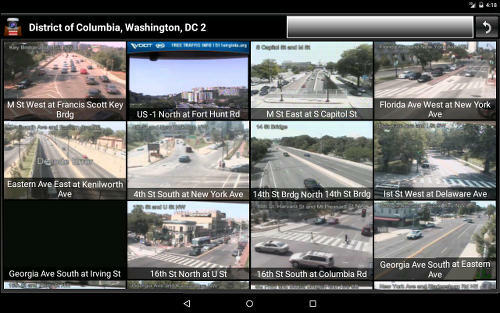 Photo: Traffic cameras keep an eye on the roads in Washington DC. To ensure that we get the best value for the public monies spent, the government will have, if it has not already done so, to embark on a competitive procurement/bidding process. Built into this procurement/bidding process, there will have to be a maintenance cost. Remember that this entire programme is not as simple as a camera taking a picture and a ticket then being sent in the mail. A typical system starts with setting up a network of cameras, each of which has to be carefully situated and maintained as they are invariably in unsheltered, outdoor weather-exposed settings. This means that maintenance involves regular calibration testing as is the case with any man-made piece of equipment. The network of cameras must be connected to an image database system which would permit screening personnel to quickly review the images for visual errors or anomalies. 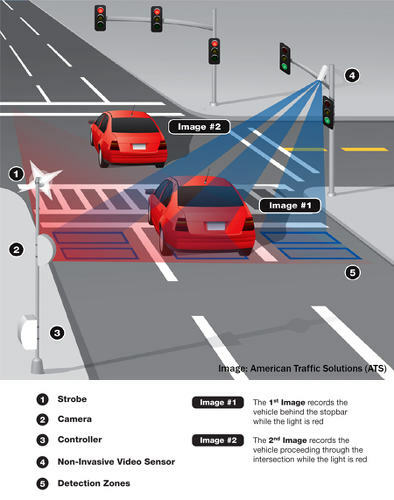 For example, depending on the system used, it is possible for two or more cars to be caught in the same image frame when only one is breaking the red light. In such an instance, the screening personnel must double check and confirm—by manual keystroking—the offending license plate so that no error occurs. Another typical check and balance sees another person double-verifying the initial screener so that two sets of screening personnel review all images independently of each other. We live in a relatively small country and we have to put in place protections to cater for eventualities such as when screening personnel come across a vehicle they own or one that a friend or relative owns. Photo: An image of the traffic red light camera system in operation. Additionally, it is worth considering whether this screening should be done locally or in some other country. We create jobs if it occurs here but costs would be lowered if the screening is done in a centralized off-shore location where similar images from other cameras in other countries are already being screened by trained professionals. If we opt for local screening, will screeners have the capability to defer or delete action on a possible infraction? Are there provisions in the legislation covering privacy aspects, for instance, ensuring that screeners do not divulge ticket information? Will there be sanctions included in the bill to ensure that any corrupt intent is dealt with? Whether the screening takes place here or offshore, what is to happen to bad or blurred images? Are they to be deleted? Will there be a third supervisory review level somewhere? Who else is to have access to the images? Will the police be involved in any way with the image review process? How long will the data be kept by the authorities? Let’s assume that the camera arrangements are all in place and work well. We are now able to properly confirm tags and approve them for ticket issuance. Tags, therefore, will have to be passed through an address-matching protocol. Who is to have access to the address information? Will the notice of infraction come from the T&T Police Service or the Ministry of Works and Transportation (MoWT)? If from the Ministry, does legislation need to be specifically crafted to allow for this to happen? What happens if someone moves house without changing his/her address at the Licensing Office? Photo: Vehicles drive past a traffic camera in Washington DC. An interesting aside: the MoWT recently unveiled a customer interface that allows the public to go to an app or website, where one can key in a license plate, engine number and/or chassis number to track the owner of the vehicle one may be desirous of purchasing. Will this same database be used to verify the owner of the vehicle and the address to which the ticket is to be mailed? And more questions that arise are: What happens when mail is returned to the Licensing Authority as undeliverable or returned by someone at the receiving address who confirms the address was incorrect for that license plate? What happens if the wrong address was keyed into the existing ministry registration database? Is there any secure link to insurance companies who more often would have updated addresses? Will the points system the government plans on introducing allow the insurance companies to get ticket information in real time? These, then, are just some of the many issues for consideration in drafting the legislation as well as in planning the procedures and protocols to be put in place in this new system. If the government addresses all these and other related issues before bringing the bill to the parliamentary floor, we may just find that the package as a whole may revolutionize the way we drive. And help our policemen focus more of their attention on solving serious crime. 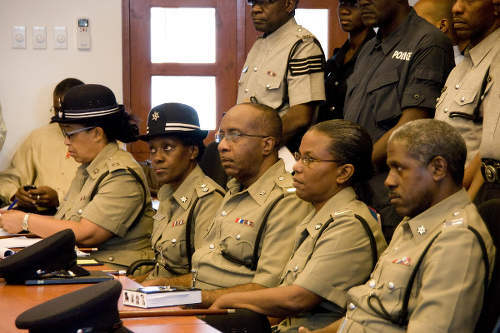 Photo: Senior members of the Trinidad and Tobago Police Service during an address by then National Security Minister John Sandy in 2010. Involved in serious discussion about protecting and serving? The recordings will go missing conveniently for certain criminals…. This is based on the premise that more money would improve the TTPS. Not making a police pun by saying pearls before swine (not calling police pigs, just using the expression). Free up police? No it doesn’t.Who but a cop or cops have to sit view the tapes and determine a driver break as Trini say the light? Oh gorm Rudy. Behave yuh self nah. We talking in theory here! ?? Rudy Paul, are you and Vernal Damion Cadogan related?! ?? Lasana the man damn right. Laws alone can’t solve a society’s problems, that socoety MUST also possess the values necessary to produce law makers and law enforcers willing to draft and enforce them …. we clearly don’t! Well, the traffic camera seems pretty far from fool proof. So this can lead to more challenges in court if it isn’t done skillfully. And we haven’t seen too much skill from the AG’s office in years at best. Change what? It’s a loophole. The Judiciary already overburdened. Are we going to add this to it. I certainly will challenge the cameras. Just as I would the speed guns. Lol. You know I don’t give you wrong Hassan. You know me better than that. Shouldn’t there be a distinction between releasing owner information and owner verification? I haven’t tried the system but isn’t it possible to verify vehicle ownership for the purposes of a transaction without disclosing owner information? Usually the government doesn’t invent legislation and patterns it after existing legislation in another territory. So one would hope they’ve looked to legislation that is working elsewhere to find solutions to all the questions raised here. I wonder how change of address is dealt with in the system of the US. Here, the only companies sure to know are TSTT or Flow! Because if you’re a renter, the only thing that you need a bill for without fail is internet and/or cable tv. Wow. Interesting read…and valid points all.